NEWINGTON – Among the most desirable qualities in a new school chief, where do accountability, commitment and ability to communicate stand for you? 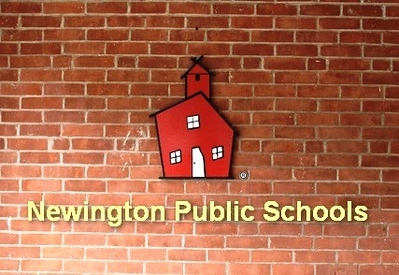 The Newington Board of Education is engaging local residents in its search for a new superintendent of schools through a series of upcoming focus groups and an online survey. “We really want input from everyone,” interim Superintendent Pamela Muraca said this week. As deputy superintendent, Muraca also took on the responsibilities of the chief position following the resignation of longtime schools superintendent Dr. Bill Collins this past summer. Muraca is set to retire by the year’s end and school officials are planning to have a permanent superintendent in place by July 1, ahead of the 2019-20 school year. Two consultants from the New England School Development Council (NESDEC), Drs. Joseph Wood and Carolyn Burke, are assisting in the search. Parents of school-age children are encouraged to participate in a focus group Thursday, Jan. 17, from 8:30 to 9:30 a.m. in the Helen-Nelson Meeting Room at Newington Town Hall. Those who can’t make it in the morning are invited to join residents and members of the community at large at another session that evening from 6:30 to 8 p.m. in the Newington High School auditorium. Separate focus groups are planned for teachers and school faculty, as well as town officials. Students will also be asked for their input. Group facilitators will be gathering commentary regarding the attributes, experience and knowledge people believe the new superintendent should possess. The meetings also provide an opportunity for participants to identify immediate tasks upon which the new superintendent should focus their attention. Those who are unable to attend either session are encouraged to complete a survey online. A link will be made available on the district’s website beginning Jan. 17 and will be open for the following ten days, through Jan. 27. For board Chairman Joshua Shulman, it is crucial they select a person who is not only highly capable but also one who will earn Newington’s vote. “We’re looking for someone who fits the needs of the community and who the community will welcome,” he said. WHERE: Morning session in Town Hall, 131 Cedar St.; evening session in NHS auditorium, 605 Willard Ave.
Posted in Newington Town Crier, Newington News on Thursday, 3 January 2019 08:16. Updated: Thursday, 3 January 2019 08:19.